Examinations are around the corner. To avoid burning the midnight oil, please refer to the notes furnished by Master Tuition in a jiffy. All revision kits are well-planned and developed to match the exam scope thoroughly. 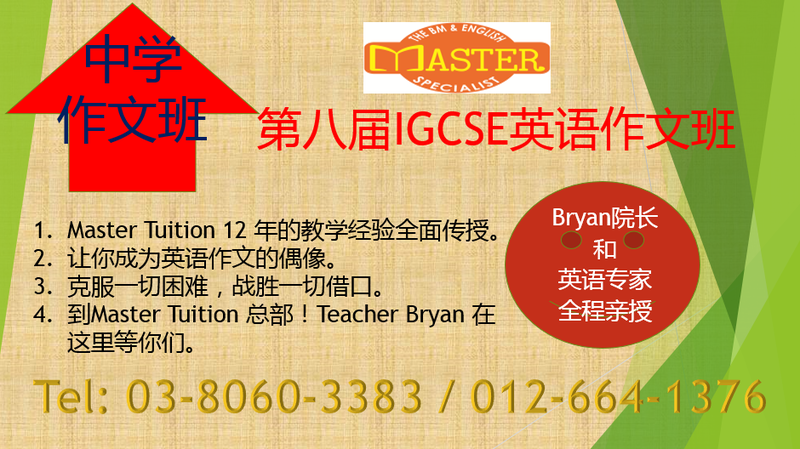 In fact, Master Tuition has a team of highly specialized teachers who keep updating the holistic exercises. Should you encounter difficulties, kindly pop-up at our centre. Our lecturers are standby to provide the most relevant information. Last but not least, stay as fit as fiddle to strike for flying colour results. Next Next post: How do you convert or transform from two or more simple sentences to one advanced sentence?